What is Multi-modal Anesthesia? There are many drugs used in providing anesthesia. These drugs have both good and bad effects are more likely to be seen when higher doses of the medications are used. The concept of multimodal anesthesia involves using multiple drugs to provide anesthesia. The idea is that when multiple drugs are used at the same time, smaller amounts of each drug can be used while still providing excellent anesthesia and pain control. This helps to avoid or minimize the potential bad effects that can be caused by the use of larger doses of individual drugs. Dr Vaughan spends a lot of time reviewing anesthetic protocols and ways to monitor anesthesia so that he can provide the safest anesthesia for your pet! We have Certified Veterinary Technicians in the surgery room when your pet is under anesthesia. They have gone to college to be educated and trained as a Veterinary Technician and they have had to pass certification testing. They are constantly monitoring your pet while under anesthesia in addition to the electrical monitoring what we use. · EKG/Electrocardiogram – this monitors the electrical patterns of the heart. · Blood Pressure – Hypotension (low blood pressure) is a serious problem that can lead to damage of major organs like the kidneys. · Pulse Oximetry – This measures oxygen carrying capacity of the blood. · End Tidal CO2 – monitoring allows exhaled CO2 to be measured non-invasively. We place IV catheters in all of our surgeries for 3 reasons; to allow immediate access to a vein for emergency drugs if needed, to allow us to run intravenous fluids to help support blood pressure and for CRI/Constant Rate Infusion of pain medications. Small amounts of pain medications are added to the IV fluids and infused at a constant rate to provide a constant level of pain control. There are many reasons why veterinarians encourage spaying and neutering your pets. ü greatly reduces the risk of prostate problems in males and breast cancer in females. ü avoids certain health risks including pyometra (a life threatening infection in females). ü makes a calmer and gentler pet. ü reduces the risk of your pet being hit by a car, because he/she has less desire to run away or roam in search of a mate. 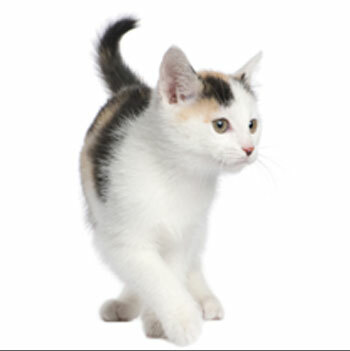 ü makes him/her easier to train because he/she will concentrate more on you and be less likely to fight with other cats. In addition to the operation, your pet will need a pre-anesthetic laboratory screening. This is a simple blood test that allows the veterinarian to check your pet’s bloodsugar, anemia, proteins and liver and kidney function to ensure that your pet is healthy enough to be put under anesthesia. This test can give advanced warnings of problems and provides the doctor with a baseline if there are any problems in the future. Here at China Grove Animal Hospital we take great pride in the extraordinary care and special attention that we give our patients. When you bring your pet in for surgery, he/she is provided with a warm bed and lots of soft blankets to snuggle with! Plus, unlike many other clinics, we also provide your pet with pain medication before the surgery to help ease the recovery process. During surgery your pet is connected to a high tech machine that allows us to monitor your pet’s breathing, heart rate and blood pressure. He/she is also connected to an I.V. Catheter, which allows us to administer fluids and keep your pet hydrated during the surgery. These are only a few examples of the extra care we provide your pet when they are staying with us! At China Grove Animal Hospital, our goal is to provide your pet with the highest quality veterinary care possible. We encourage you to come to us with any questions or concerns regarding spaying and neutering your pets. For questions regarding surgery, or for an appointment please call us at (704) 857-1017. At China Grove Animal Hospital, we require de-claw surgery patients to remain in the hospital for 2 nights. This gives your kitty's toes time to heal before he/she goes home and starts running around. This also allows us to monitor your kitty in case extra pain medication is necessary. Patients scheduled for a de-claw should be dropped of on Tuesday morning and can be picked up on Thursday afternoon. Please call the office for any questions or to set up an appointment!